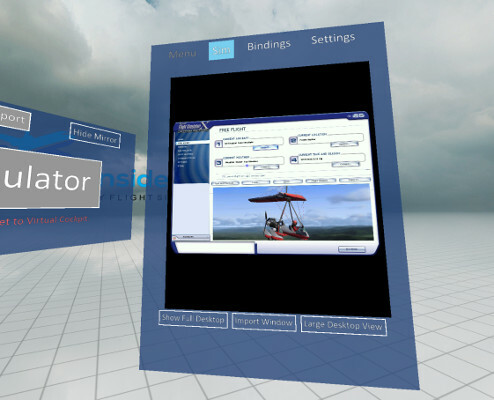 FlyInside brings Oculus Rift and HTC Vive support to Microsoft Flight Simulator X, Lockheed Martin's Prepar3D, and Laminar Research's X-Plane 10/11 flight simulators. Interaction: Once you put on your headset it's just you and the plane. Feeling for your mouse would be clumsy and awkward. 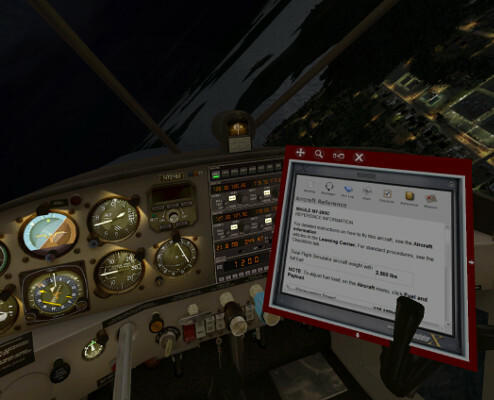 FlyInside's gaze-tracking means that you don't need to take your hand off of your joystick to navigate dialogs, interact with ATC, change settings, or plan flights. Leap Motion: FlyInside supports Leap Motion's latest Orion technology. 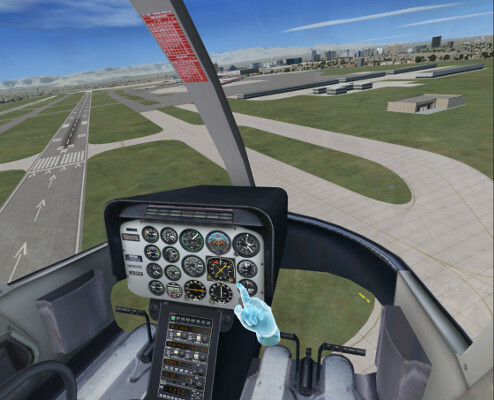 With FlyInside and Leap Motion your hands are tracked and you can see them in the cockpit. You can flick switches, move levers, and even use menus just by touching them. Asynchronous Timewarp: Flight simulators are notorious for their low FPS. FlyInside supports asynchronous timewarp so that you don't need to choose between good graphics and solid performance. With asynchronous timewarp your virtual reality view feels smooth even at lower frame-rates. Zoom Functionality: FlyInside supports binocular zoom so that you can read tiny text or small gauges without struggling.